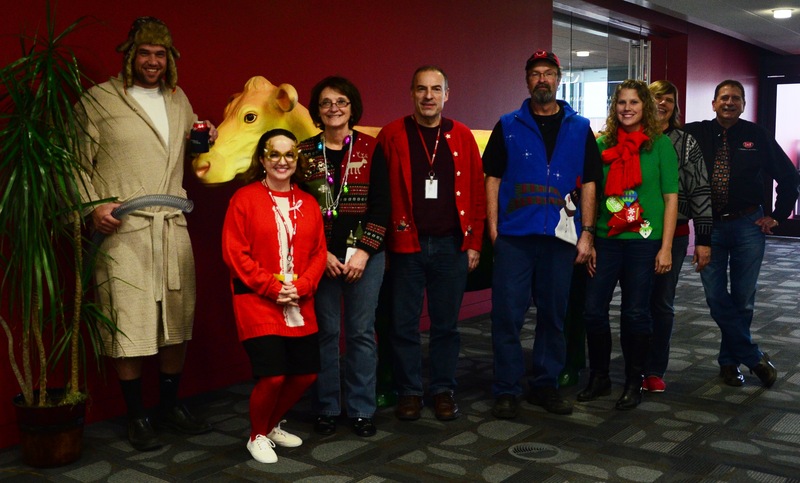 Lely employees at the North American headquarters in Pella, IA, enjoyed a Christmas lunch today followed by a festive "Unusual/ugly Christmas holiday attire" contest. Here's a look at our contestants, and a single shot of our grand prize winner who came as...can you guess it? 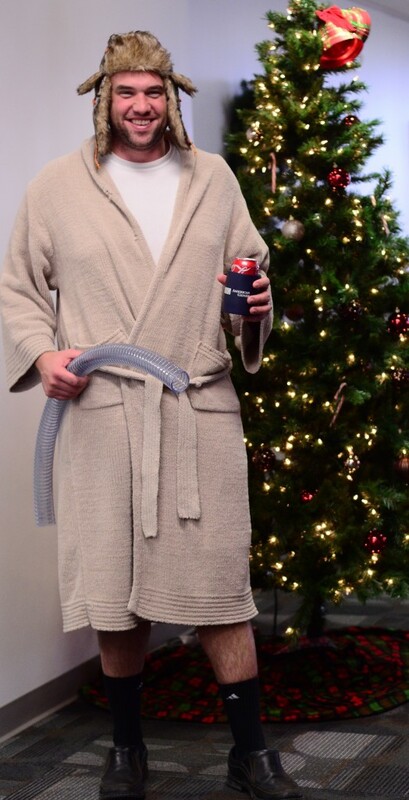 Cousin Eddie from National Lampoon's Christmas Vacation! The Lely team sends wishes of fun and fellowship to you and your family this holiday season!